Digitisation is transforming the way businesses, governments and consumers interact with the physical world. 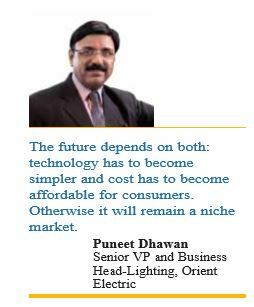 Lighting industry is poised to be the next digital disruptors thanks to increasing adoption of Internet of Things (IoT). 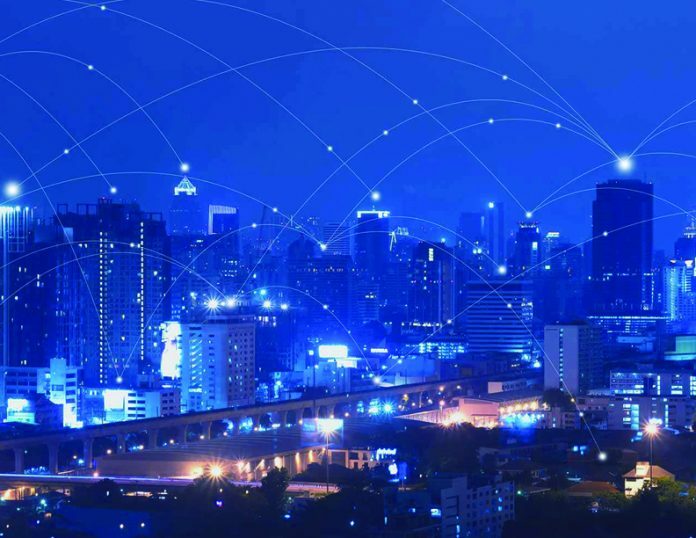 The IoT, being referred as the next industrial revolution, allows connectivity to devices and enables one device to communicate with another device using data. An IoT lighting system also enables connectivity and communication between devices within the lighting system and between lighting devices and non-lighting devices. According to Navigant Research, global market revenue for IoT lighting is expected to grow from $651.1 million in 2017 to $4.5 billion in 2026 whereas McKinsey report projects that the worldwide market for IoT lighting to grow to approximately $159 billion by 2020. 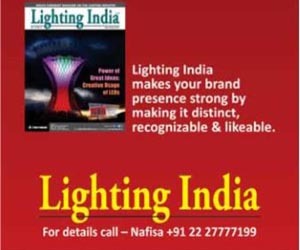 “Technology of connected lighting is new and still evolving in India. 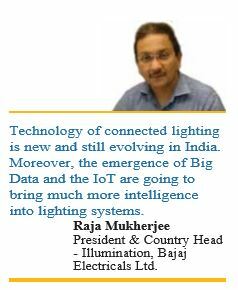 Moreover, the emergence of Big Data and the IoT are going to bring much more intelligence into lighting systems,” said Raja Mukherjee, President & Country Head – Illumination, Bajaj Electricals Ltd. 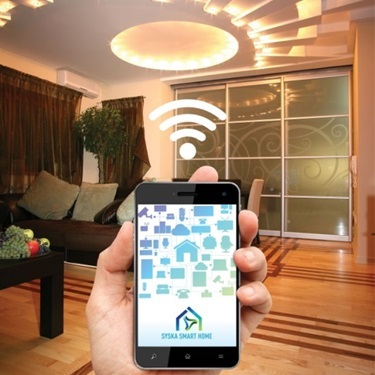 Connected or Smart Lighting can be broadly categorised into two types; Smart Outdoors and Smart Indoors. Smart Outdoors can be smart street lights which use lighting as an architecture for surveillance, pollution control, motion detection, car parking sensors and real time traffic control through smart lighting. 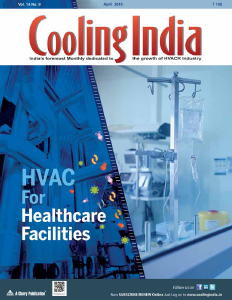 Smart Indoors on the other hand can connect the peripherals like split AC modules or curtains using lighting as an architecture or venison blinds. 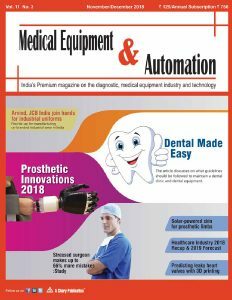 These devices should however have an IP address and through a common platform they will be able to communicate with each other, informs Raja Mukherjee. “IoT is here to stay and grow and we are seeing that integration happens in our products. 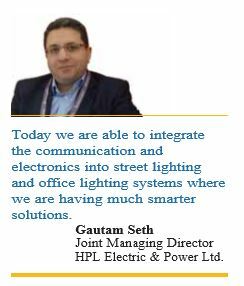 Today we are able to integrate the communication and electronics into street lighting and office lighting systems where we are having much smarter solutions,” said Gautam Seth, Joint Managing Director, HPL Electric & Power Ltd while talking to Lighting India on the sidelines of recently concluded Light India exhibition. Connected lighting is the future. Preprogramming helps manage your time schedule efficiently. It also saves a lot of energy and time by optimising the efficiency of various devices. Connected lighting also helps to reduce the waiting time at signals through real time traffic control and monitors anti-social activities through surveillance. It also provides intelligent lighting solutions like having the right amount of light at the right place, increasing and decreasing the brightness of lights accordingly through motion detection. Bajaj Electricals is working on wireless platforms, fixtures and smart poles. 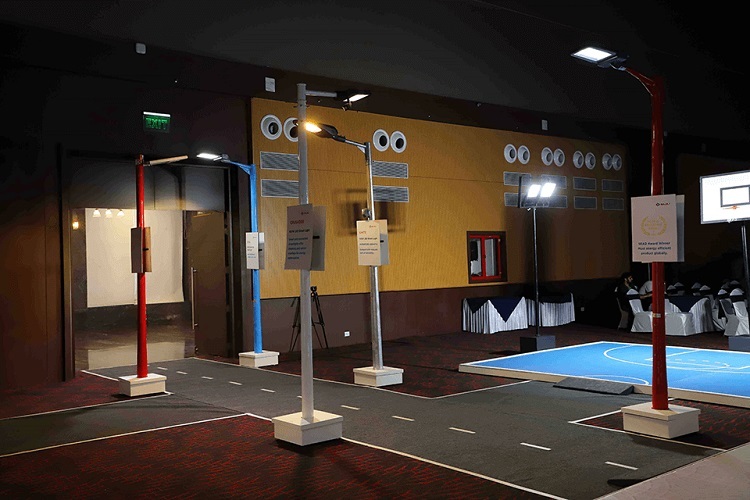 The company also has sensor-based street lights for outdoors and individual based lighting controls for indoors. “We are working towards making each luminaire intelligent, wherein, it captures and processes data and communicates it with the other luminaire. 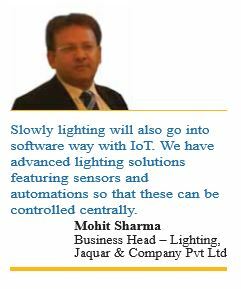 And, humancentric lighting that will adjust to an individual’s biological clock and adapt accordingly,” informs Raja Mukherjee. Voice command was one of the most revolutionising inventions in the field of AI or IoT. And now, the world is racing towards a whole new era of intelligent products which can be controlled simply by using voice from anywhere with Internet access. Home-grown Syska has introduced a fully functional lighting system with WiFi module which is compatible with Amazon Alexa, allowing users to control the lights using voice. Running on AI/IoT platform by Tuya Smart, Syska Smart bulb can easily respond to voice command given by users once synced with Echo Dot, Echo, or Echo Plus. Along with WiFi modules, Syska Smart bulb works with a variety of networking modes like Bluetooth, Bluetooth Mesh and more. It also allows consumers to control the lighting of their home from anywhere in the world within seconds through a mobile app called the ‘Syska Smart Home’. 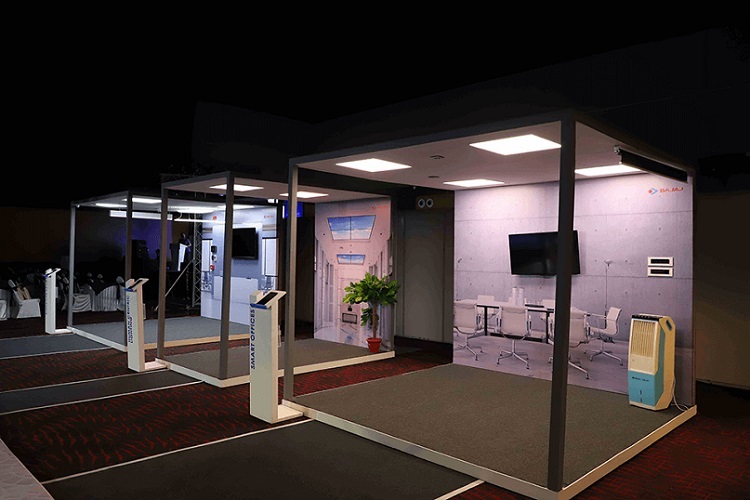 At the recently concluded Light India 2018 exhibition, Jaquar Lighting launched its latest copper chandelier finely crafted with silver plating that is equipped with intelligent lighting features which pull through the fluctuations of high/low voltage and high/low temperature. Jaquar Lighting offers complete lighting solutions – for residential, commercial and outdoor use. 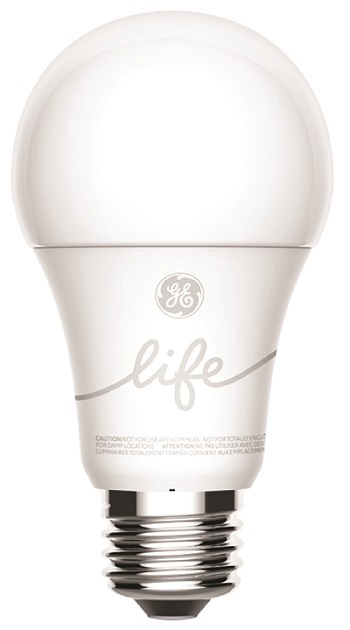 C by GE and Google brought a new level of simplicity to smart lighting control. Without the need for an extra hub, you can soon use either the Google Home, Google Mini, Google Max or the new display product, Google Home Hub, to control your C by GE bulbs. Simply screw in a C by GE bulb and make sure one of these Google Home products is on, and the Google Assistant will automatically detect the bulb in the Google Home app. Then just say “Hey Google…” to turn the bulb on and off, dim it or control it otherwise with your voice. 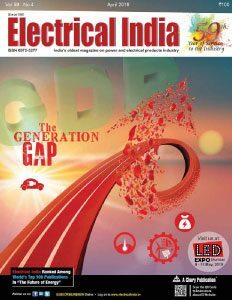 This year HPL Electric & Power Ltd has completed one of the first smart city lighting projects in India. The company has installed complete smart lighting solutions in Bhopal, as a part of the city’s smart city project. “In Bhopal, we have completed installation of over 20,000 smart LED lights and 400 CCMS (Centralised Control Monitoring System). Here each and every street light is connected to centralised server and can be centrally monitored using 6LoWPAN communication technology,” informed Gautam Seth. Though Seth agrees that it is still too early for connected lighting for mass adoption, he believes, “it is moving in the right direction as mobile connectivity is improving”.